Thixotropic Man – Or, Our Ground Substance Hero? Say what? Look, up in the sky, no I mean laying there firmly in bed, it’s Thixotropic Man. Can we help him? Yes, quick, give him a massage before it’s too late. It’s working, he’s starting to move, he’s warming up. There, phew, that was close. Are you okay Thixotropic Man? Why yes, thanks to you Massage Woman and your powerful hands – you are our real hero. Okay, what in the world! Ha! Apparently I need a day job. Jesting aside, what in the world was behind this silly dialogue? Have you heard the word thixotropy before? It’s not one that we hear very often, but you know the concept. When we wake up in the morning, don’t we feel sluggish? Our bodies ache until we “warm” up. When we get moving, the cells of our body can move more freely it seems. But what is really going on? All between the cells of our body is a fluid called ground substance – another new word for the day perhaps? Ground substance is a transparent and viscous fluid and it surrounds all the cells in our bodies. 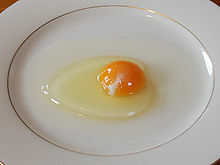 A viscous fluid is like egg whites and is gooey and it resists movement. Can you see where I am going with this yet? Keep reading. The ground substance is made up of water and glycoaminoglycans! Ouch, sorry, a chemistry teacher came up with that word, not me, but we can use GAGs for short. I had to look it up too, but is a type of sugar or carbohydrate. You’ll have to look it up if you are dying to know more. But it is the nutritive part of the ground substance. The ground substance is not only nutritious to our tissues, but it is used to carry away waste – it is sugary waste water and sugar water all in one. Okay, now, we all know what happens when we stir sugar in water – it dissolves. Well, ground substance has about 70% water and 30% GAGs and if it just sits around, it is like egg whites or jelly. But, it has the remarkable property that when you stir up the ground substance, it becomes more like water! Formally, a thixotropic substance is one that has the quality of becoming more fluid when stirred and more solid when undisturbed. NOW! Back to Thixotropic Man! When we sleep at night, we get sluggish. And you know why now! Because all the cells in our body are no longer floating in a sugar water, but in a sugar gel. Our muscle fibers are bathed in a goo. And when we wake up and move around, or get a massage, our body “warms” up and melts the ground substance. Massage therapy actually changes the viscosity of a ground substance from a gel to a fluid and is why we really feel we can move when we get off the table! p.s. Let me share a reference of a therapeutic master that helped me out today…Massage for Orthopedic Conditions by Thomas Hendrickson. This entry was posted in BLOG Entries, Massage Therapy. Bookmark the permalink.